A TODDLER and her dad were reportedly escorted from a Southwest Airlines plane after the toddler became briefly fussy about taking flight. Passengers claimed the family was kicked off the Wednesday flight from Chicago to Atlanta because the two-year-old was momentarily scared, news station WGN-TV reported. According to the New York Post , the child reportedly became upset when she wasn't able to sit on her dad's lap instead of her own seat. Her dad, however, was able to get her to behave again and sit in her own seat before the plane departed, according to passengers. 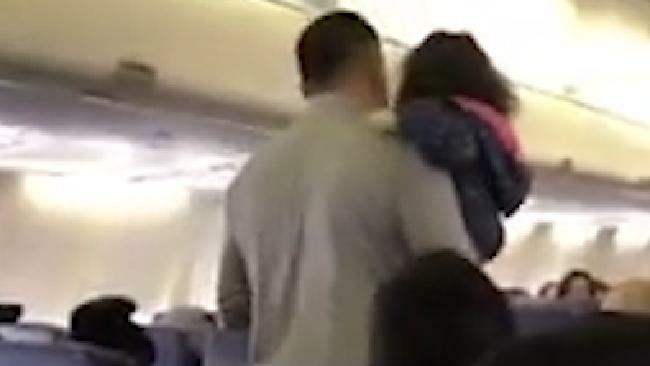 In a video, others aboard are heard protesting the pair's removal, saying the girl had calmed down before flight attendants intervened. "So we're going to kick them off the flight and traumatise her some more to have her fearful to get on the plane again?" one passenger asked. "With a 2-year-old, you're not going to give her like two minutes to sit?" another said. Southwest Airlines released a statement claiming the family was kicked off when the "conversation escalated". The passenger who filmed the incident, Alexis Armstrong, told Inc.com that the child "had a fit for about three minutes ... while still boarding and people were seating". 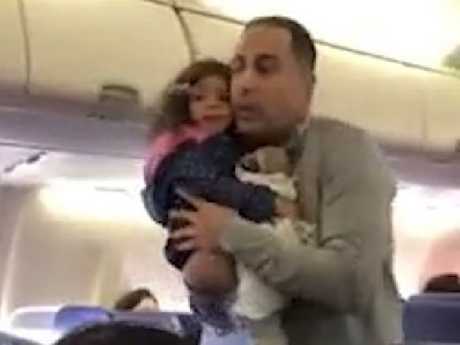 A flight attendant then allegedly told the father that the child needs to calm down and be seated or they will be escorted off. Ms Armstrong said he managed to get the little girl to quieten down and sit in her seat, when the airline staff returned and asked them to leave the plane. 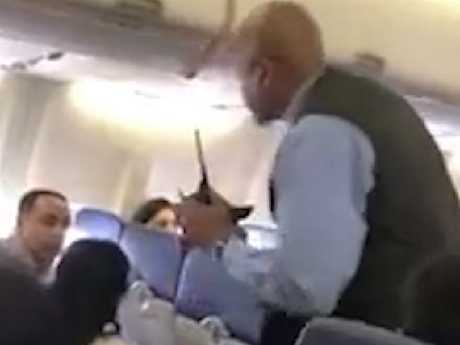 When other passengers spoke up in the father's defence, the flight attendant can be heard telling passengers: "We're cleared for departure. We all need to understand the operation, unfortunately. This is not helpful guys. Do you want to go to Atlanta? The decision's been made." Ms Armstrong posted the video to Facebook before the flight took off, where it quickly went viral. In response to the incident, the airline released the following statement: "After pushback Wednesday evening, Flight 1683 to Atlanta returned to the gate at Midway to allow supervisors to board the aircraft. Our initial reports indicate a conversation escalated on board between the crew and a customer travelling with a small child. "We always aim for a welcoming and hospitable experience and regret the inconvenience to all involved. "The travelling party was booked on the next flight to Atlanta after the original flight continued as planned. We will reach out to the customer[s] to listen to any concerns they have about their experience and look forward to welcoming them on board again soon." Part of this story first appeared in the New York Post.